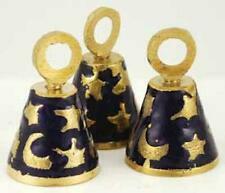 Mini Brass Celestially Painted Altar Bell! 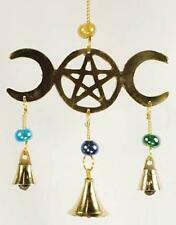 Verdigris Copper Celestical Crescent Moon Wind Chime! Red Hanging Cut Glass Crystal Ball with Celtic Knot! Laser-Etched LOTUS Wooden Chime w/Chakra Colored Beads! Laser-Etched CHAKRA Symbols Wooden Chime w/Chakra Colored Beads! Small 2.5" Brass Altar Bell!